With warmer temps looming in the air, some of our favorite haunts have launched their new spring menus. As New York is known for its diverse global cuisine and here’s a roundup of our favorite newcomers. 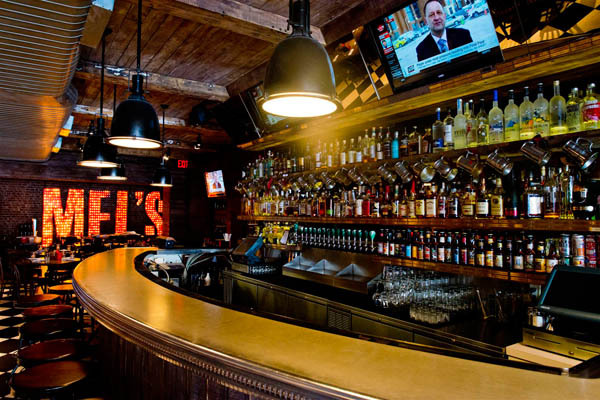 Mel’s Burger Bar is one of New York’s top neighborhood joints with locations on the Upper East Side and Upper West Side. But who exactly is Mel? It’s simple actually, the Chef’s Grandfather. Mel believed that nothing can substitute a handshake when making a deal, a hug when a person is in need, and the sound of a group of friends laughing at the recollection of a past experience. Mel’s Burger Bar provides just that. “Whether you want to hang with friends watching the game while you drink, take your kid out for a milkshake, go on a casual but fun date, have some excellent craft beer, or one of the best burgers you’ve ever had, Mel’s hits the spot. It’s everything you want in a neighborhood joint,” says owner Steven Kay. To better connect the neighborhood Steven created Mel’s Brew Crew, which unsurfaced Manhattan’s most elite beer drinkers. Once you drink 50 of the beers Mel’s offers the bartender and a current crew member baptize you into the group. It’s not your typical baptism though, this one requires you to shotgun a beer while having beer poured over your head while the bells to Mel’s ring for the whole neighborhood to hear. 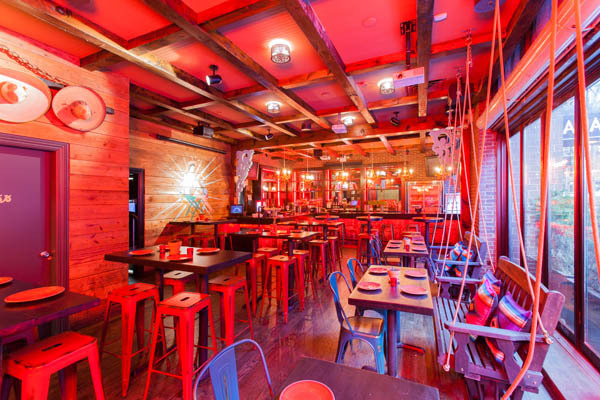 And once you’re in, you can enjoy all of the crew’s perks from drink specials, to special dinners. Mel’s Brew Crew currently has over 800 members and is growing each week. Tucked away on the bottom of a charming West Village Townhouse is Pinto Garden. Bangkok native Chef Teerawong “Yo” Nanthavatsiri believes in creating authentic and creative dishes influenced by diverse regions throughout Thailand with a menu that changes seasonally. Experience unique flavors you won’t find anywhere else such as the exotic Banana Blossom Salad with spicy chili sauce, Kao Soi Short ribs with Northern Thai curry, Manila clams with chili paste, garlic and basil, and Wild Mushroom Larb salad with lemongrass, lime and mint. While you won’t the typical pad thai or red curry, Chef Nanthavatsiri does also have some staple items on the men such as the spicy loemein lobster with cherry tomato and garlic chili paste as well as the Num Prik that uses a thicker homemade Italian style pasta to hold the savory and vibrant chili paste, mung bean curry sauce. 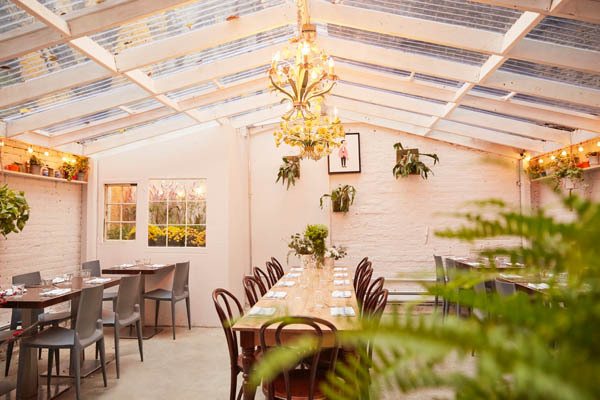 This contemporary yet cozy restaurant is also graced with a picturesque backyard garden that’s enclosed and heated in the winter. Celebrated restaurateur Charlie Palmer has opened his latest outpost in Archer Hotel New York. Known for his succulent steaks and contemporary American cuisine, this airy spot embodies the casual elegance of a modern steakhouse in the middle of the bustling Midtown neighborhood. Executive Chef Ryan Lory created a seasonal menu with provisions from the region’s local farms and waterways from the Hudson Valley to the mid Atlantic waterways. 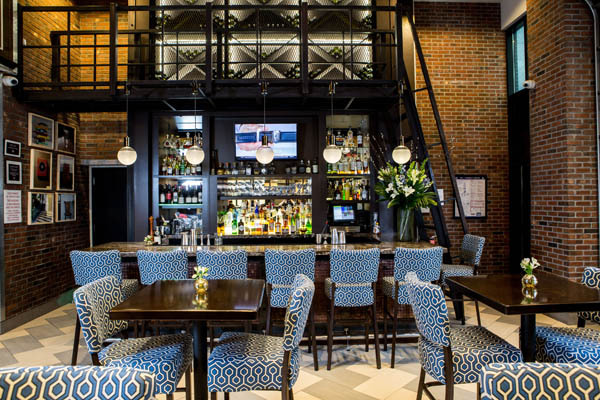 Specialties of the house include an applewood smoked bacon topped clams casino, Kobe Strip Loin, a rich 50/50 burger made with 50% ground bacon, grilled spring chicken, and flat iron steak salad with gorgonzola and truffle vinaigrette. For a decadent weekend splurge come for their two-hour $38 bottomless brunch replete with a customizable bloody mary and mimosa cart. Start by sharing doughnut wheel or charcuterie platter for the table followed by a choice of elevated comfort fare options such as fried chicken and waffles, or truffle mushroom omelette for the beginning of a glorious weekend and stay for a complimentary rooftop cocktail at the hotel’s rooftop bar, Spyglass. 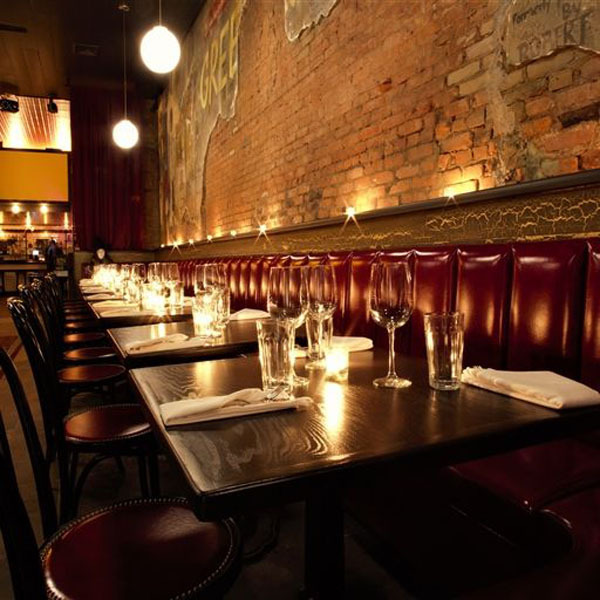 Named after Anthony Lispenard Bleecker, The Anthony embodies the gritty artistic history of Greenwich Village and also reflects the evolution of the neighborhood with a chic and modern decor that serves elevated comfort food. The latest project, lead by ADB Hospitality’s Nicholas Semkiw, created a vibrant nightlife destination in the heart of the Village. Indulge in elevated comfort food with global influences such as the Crispy Duck & Waffles, duck confit with a buttermilk waffle, glazed with a smoked duck fat maple sauce, the Tony Prime Burger, a Pat LaFrieda dry-aged blend with the addition of house-ground dry-aged steak bits, housemade creamed spinach cheese and signature steak sauce, and the Cacio e Pepe Fries, topped with shaved pecorino and fresh cracked black pepper, and served with parmesan-pepper aioli. Desserts by Michelin-starred pastry chef Ashton Warren are a nice finish, such as the “Fruity Pebbles” Citrus Meringue Pie. 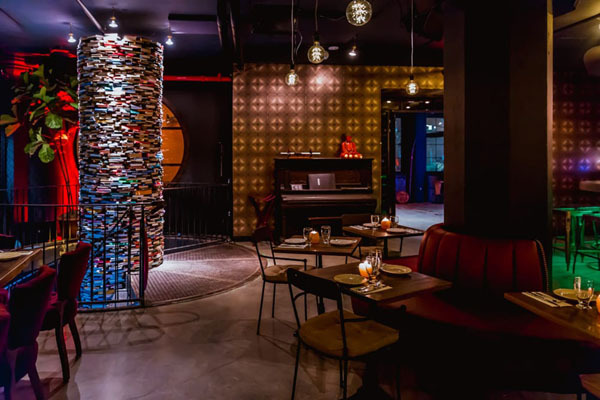 As the night progresses, the venue morphs into a vibrant nightlife scene, and transforms into the Living Room –a luxurious upstairs lounge with plush velour seats, Tiffany-style lamps and close proximity to the DJ. Experienced mixologist Anthony Nelson has created an exciting cocktail menu including The Matador made with mezcal, habanero infused honey, cilantro, lime and bitters that keeps the party going well into the night.